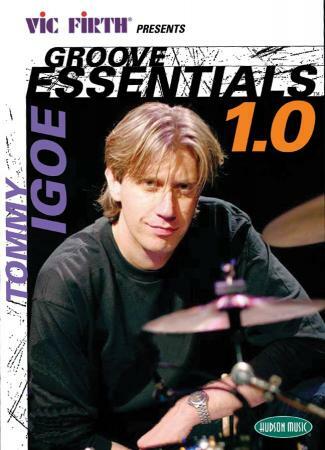 The Groove Essentials DVD is based on a definitive collection of contemporary Rock, Jazz, R&B/Funk and World/Ethnic drumming styles. Tommy demonstrates, explains, and performs nearly four-dozen of today’s most popular drum patterns. Mastering these essential grooves will greatly expand any drummer’s knowledge and versatility while giving them the confidence and ability to perform in virtually any musical situation. As a special bonus, the DVD package includes a free Groove Essentials poster.